I live in a very small community. We have the tiniest strip mall down the street from my home. Even though it is small, it does provide us with the necessities of life: grocery store, hardware store, barber, post office, a few restaurants, real estate offices and a few knick knack shops. The shop that draws my attention and money the most is the antique/thrift store. This is where I find some of the vintage items that I love to use in my pictures. While living on the West Coast, antiques were always so expensive. On occasion I would hit a garage sale and find something old that reminded me of my grandparents or even my great grandparents. This all changed, however, when I moved to the East coast. The cute little cups, dishes, serving utensils, pewter mugs and such are everywhere. I find most of what I use at thrift stores. The antique stores are more expensive and filled to the brim, but there is so much of that type of stuff in this area that you can always find it less expensive if you are patient enough to just wait for a better deal. While shopping or browsing this past summer I found a package of old appetizer picks. They brought back a memory I had of seeing a similar pick used many years ago at a party I attended at my grandparents home in California. I don't know how some of these memories that we carry with us, suddenly find a new resonance within our hearts and minds with the simplest of objects. This immediately transformed me back to what my grandma was wearing on that night so long ago. I can still see my grandfather in his white Navy uniform too. I had no idea of what I would use them for and I become overly protective of them once I brought them home. Kept above in my glass cupboards in the kitchen I was careful to not tip them over. The plastic container was cracked and I imagined them toppling to the floor. I have seen this appetizer with the tomato, mozzarella cheese and basil leaf many times. I always felt it was a grand idea. For New Years our family tries to keep the meal simple. I am usually tired from the long month of December and look forward to watching football and relaxing. In my family, we all get a say in what those appetizers will be. We usually have a variety of cheese and meat, fruit, veggies, fancy drinks, crackers and olives. We have recently fallen in love with the oil and vinegar shops that are popping up at the malls around the country. On this night, I chose to drizzle them with olive oil and a Cherry Bordeaux Balsamic. I carefully selected the perfect size basil leaves so that each one would act as a bed while the mozzarella and tomato rested on top. This allowed the oil and vinegar to pool at the bottom of each leaf. It acted as a small saucer and the experience was perfect; my family thought I was a genius. Shhh, it will be our little secret that the idea has been around for quite some time. With a dash of pepper and sprinkle of salt they were ready for their debut on the table and gone in a flash too. A formal recipe is not needed for this easy appetizer. Find some picks, the small mozzarella balls, tiny cherry tomatoes and basil leaves. 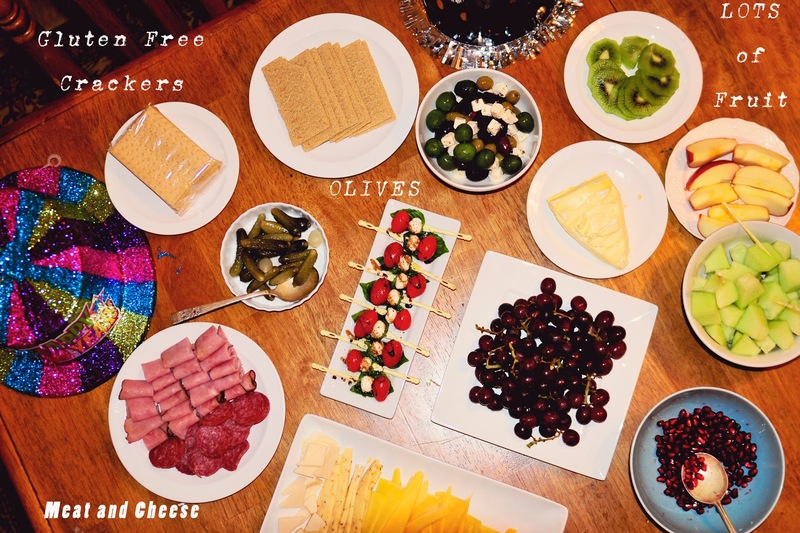 Start creating the appetizer and add them to a rimmed plate. Drizzle the picks with your favorite blend of oil and vinegar. Ta-da, you are done! Oooh lucky you and all the food bloggers are jealous! 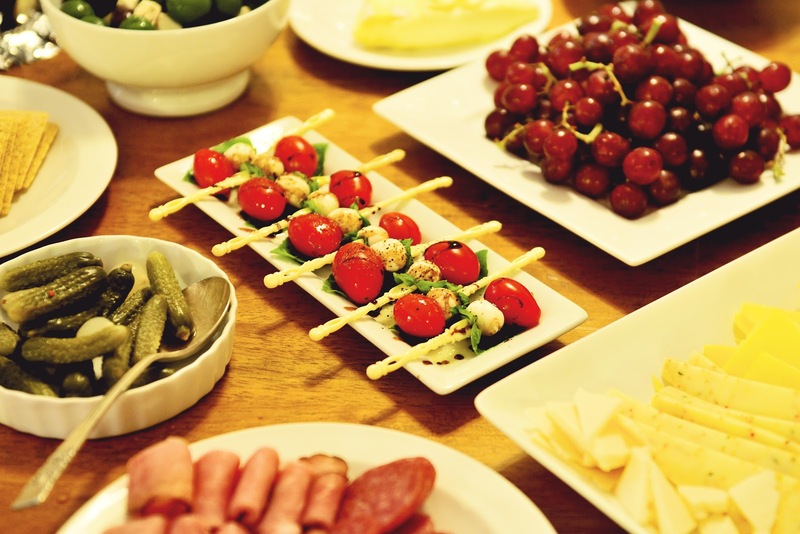 Love the appetizer sticks; they are fabulous! And I love simple but fresh and flavorful appetizers like this caprese salad. Wonderful! 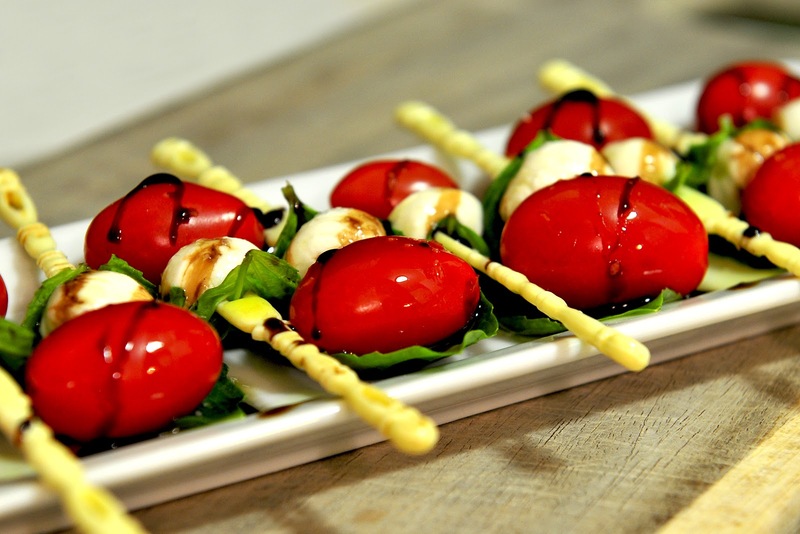 I remember those appetizer picks they look so good with your Caprese Salad. Dinners like this are my favorite.